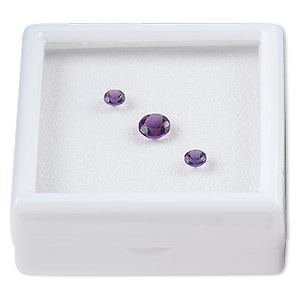 Gem, amethyst (natural), light to medium, 9mm faceted round, A grade, Mohs hardness 7. Sold individually. Item Number: H20-1673FG Have a question about this item? Gem, amethyst (natural), light to medium, 6mm faceted round, A grade, Mohs hardness 7. Sold individually. 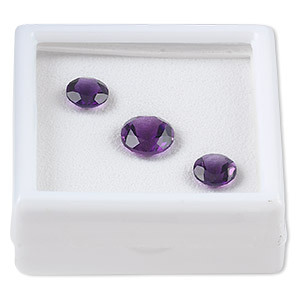 Gem, amethyst (natural), dark, two 4mm and one 6mm faceted round, A grade, Mohs hardness 7. Sold per pkg of 3. Gem, amethyst (natural), light to medium, 10mm faceted round, A grade, Mohs hardness 7. Sold individually. 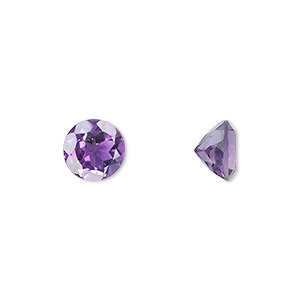 Gem, amethyst (natural), light to medium, 7mm faceted round, A grade, Mohs hardness 7. Sold individually. 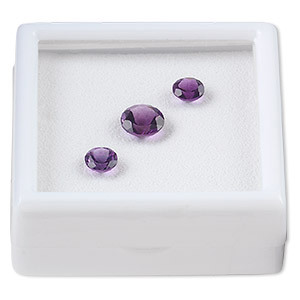 Gem, amethyst (natural), medium-dark, two 8mm and one 10mm faceted round, A grade, Mohs hardness 7. Sold per pkg of 3. 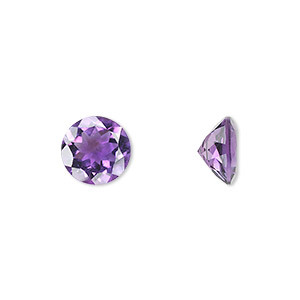 Gem, amethyst (natural), light to medium, 4mm faceted round, A grade, Mohs hardness 7. Sold per pkg of 4. 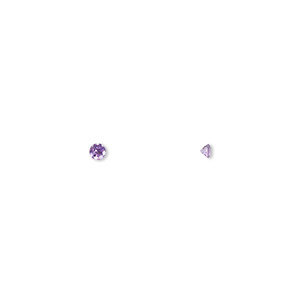 Gem, amethyst (natural), light to medium, 3mm faceted round, A grade, Mohs hardness 7. Sold per pkg of 8. Gem, amethyst (natural), light to medium, 2mm faceted round, A grade, Mohs hardness 7. Sold per pkg of 8. Gem, amethyst (natural), light to medium, 3.5mm faceted round, A grade, Mohs hardness 7. Sold per pkg of 4.